Identity theft is a Pasadena white collar crime that has become increasingly prevalent in recent years and is frequently charged by prosecutorial agencies in the Pasadena area. Many police and prosecutorial agencies now have specialized units who are trained to specifically combat identity theft offenses, as this crime has become more widespread. California Penal Code Section 530.5(a) PC – Using another person’s personal identifying information. California Penal Code Section 530.5(c) PC – Fraudulently possessing another person’s personal identifying information. California Penal Code Section 530.5(d)(1) PC – Fraudulently selling, transferring or conveying someone else’s personal identifying information. California Penal Code Section 530.5(d)(2) PC – Selling, transferring or conveying another’s identification in order to facilitate its unauthorized use. What is considered by law enforcement to be personal identification information can include a wide variety of data, such as names, addresses, social security numbers, financial account numbers, PIN numbers, private passwords, and even a person’s mother’s maiden name. It is important to remember that every item that contains personal identification information can expose a person to identity theft charges. These types of offenses can involve high-tech schemes that rely on infiltrating computer networks or can be as simple as opening up a credit account in another person’s name. 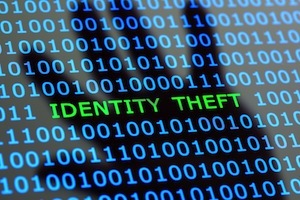 Identity theft is considered a “wobbler” offense that can be charged as either a felony or a misdemeanor. In making a filing decision, prosecutors will consider a wide variety of factors, including the defendant’s criminal history, the extent of loss suffered, and other relevant facts specific to the case. In Pasadena, if identity theft is charged as a felony, the case would be handled by a Deputy District Attorney from the Pasadena Branch Office of the Los Angeles County District Attorney’s Office. If convicted, the defendant could be sentenced to up to three years in prison. In addition, the defendant would be required to pay restitution for any loss suffered by the victim. If charged as a misdemeanor, the prosecution of the case could be handled by either the Los Angeles County District Attorney’s Office or the Pasadena City Attorney, depending on the location of the offense. If convicted of identity theft as a misdemeanor, the defendant can be sentenced to up to a year in jail and any other conditions of probation that a judge may deem appropriate. In addition, the defendant would still have to pay restitution to the victim. As noted above, a defendant can be charged with multiple counts of identity theft for each alleged use of another person’s personal identification information. Identity theft offenses in Pasadena are not only prosecuted by the District Attorney or City Prosecutor at the Pasadena Courthouse. The United States Attorney can also prosecute identity theft charges in Federal court. Under the Identity Theft and Assumption Deterrence Act of 1988, federal prosecutors can forcefully go after those accused of identity theft crimes. Those convicted of Federal identity theft offenses can face up to 25 years in prison and substantial court fines. If you or a loved one are under investigation for or have been charged with a Pasadena identity theft offense, it is very important that you consult with a knowledgeable and experienced Pasadena Criminal Defense Attorney as soon as possible. Pasadena Criminal Defense Attorney Michael Kraut is a former Deputy District Attorney with over 14 years of prosecutorial experience. Mr. Kraut previously prosecuted white collar crimes, including identity theft offenses, as part of the Los Angeles County District Attorney’s Office elite Major Fraud Division. In many cases, if Mr. Kraut is retained early enough in the investigation process, he may be able to intervene and prevent a criminal filing altogether. Mr. Kraut previously served as a Senior Trial Prosecutor at the Pasadena Courthouse and is regarded in Pasadena by judges, prosecutors and law enforcement as a highly skilled advocate who possesses an in-depth knowledge of the law. Mr. Kraut works hard to ensure his clients receive the best representation possible. For more information about Pasadena identity theft offenses, and to schedule your free consultation, contact Pasadena Criminal Defense Lawyer Michael Kraut at the Kraut Law Group located at 790 East Colorado Boulevard, 9th Floor, Pasadena, CA 91101. Mr. Kraut can be reached 24/7 at 888-334-6344 or 626-345-1899.